It is illogical for justice minister Wynter Kabimba to suggest that if a political party has no Members of Parliament (MPs) or councilors it has no right to participate in national debate or even raise concerns about the governance of the country, says Heritage Party (HP) president Godfrey Miyanda. General Miyanda has said Kabimba who is the Patriotic Front (PF) Secretary General was handling national debate using cadre mentality. 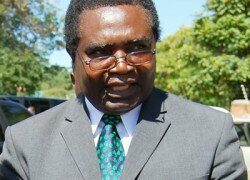 Gen Miyanda wondered if the management of a political branch was a yardstick for high national leadership and challenged Kabimba to state as to whether such a yardstick had helped President Sata govern the country. Gen Miyanda urged the PF leadership to up-grade the level of debate by debating issues and discouraging partisan and personal responses to national questions. Reacting to Kabimba’s attacks that that the Heritage Party leader was a failed politician who had reduced national issues to personalities; Gen Miyanda said the PF secretary general was misleading himself on national issues. Gen Miyanda in his response to Kabimba’s attacks said he had raised questions of public interest which ordinarily should have been raised by the Justice Minister instead of creating them. 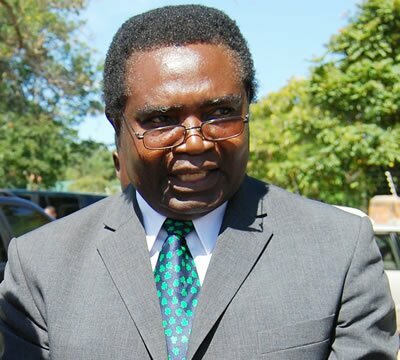 He said Kabimba during the Cross Fire interview recently had failed to propound any law guiding him regarding his claim that the Acting Chief Justice Lombe Chibesakunda was engaged as Chief Justice on contract. “Surely, is managing a political branch the yardstick for high level national leadership? How has that helped the PF President in the governance of Zambia? Which branch did Barack Obama, George Bush, Bill Clinton and John Major ever hold? It is illogical to suggest that if a party has no MPs or Councilors then they have no right to participate in national debate or raise concerns about the governance of the country-cadre mentality. I urge the PF leadership to up-grade the level of debate by debating issues and discouraging partisan and personal responses to national questions,” Gen Miyanda said. Gen Miyanda said when Kabimba was asked to comment on his call to be moved from his ministerial appointment, he had dodged the question and chose to mislead himself as he had always done even in court. Gen Miyanda stated that at no time in his public statement was he ever personal adding that his statement that Kabimba’s actions were reflecting him as a PF partisan cadre was he ever personal. He stated that his statement was factual and that he did not call for the removal of Kabimba from his ministerial appointment but that he had called for his transfer from the Ministry of Justice which was the bastion of democracy.